1. 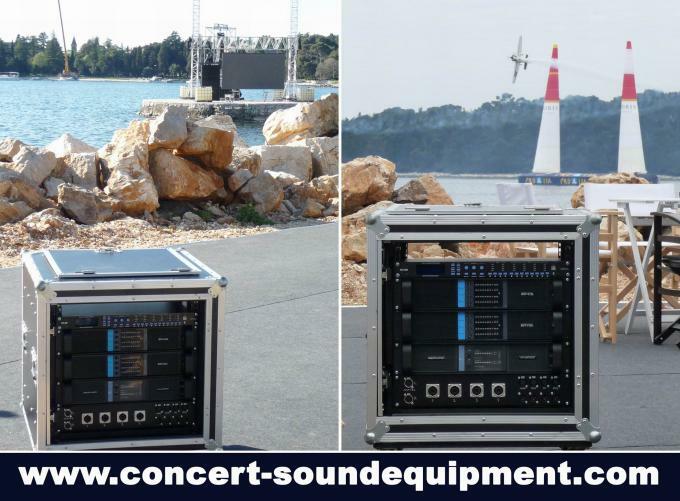 Light weight, 4-channel switch mode amplifier, 4x1300W @ 8Ω and 4x2200W @ 4Ω. 2. 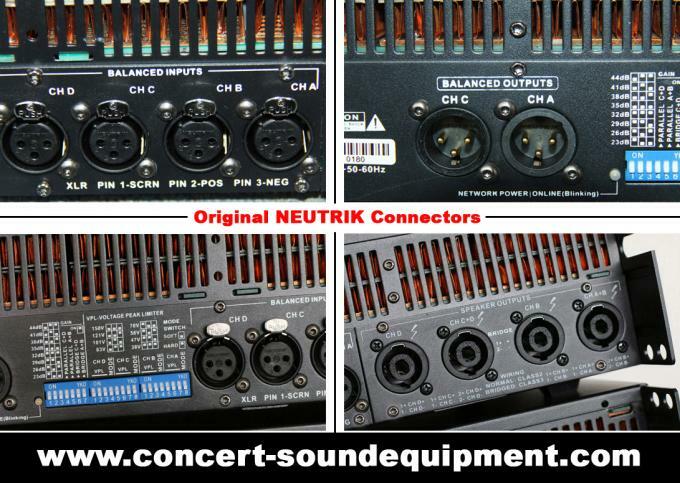 Fixed with original NOVER(from UK) power capacitors and SK power transistors to achieve good sound quality. 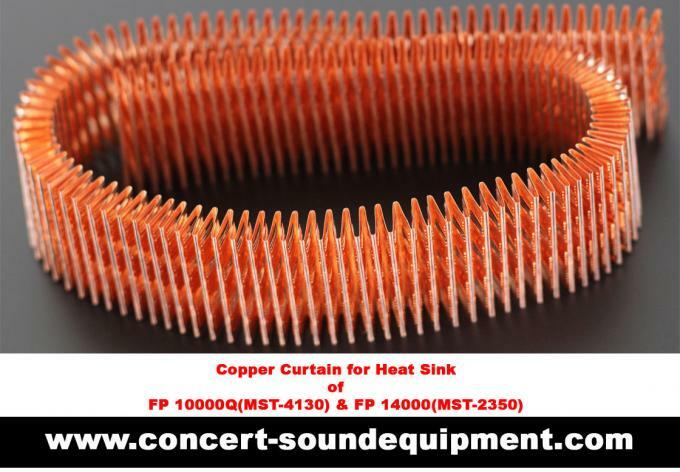 Actual copper heat sink with better structure ensures fast heat dissipation and high stability. 4. 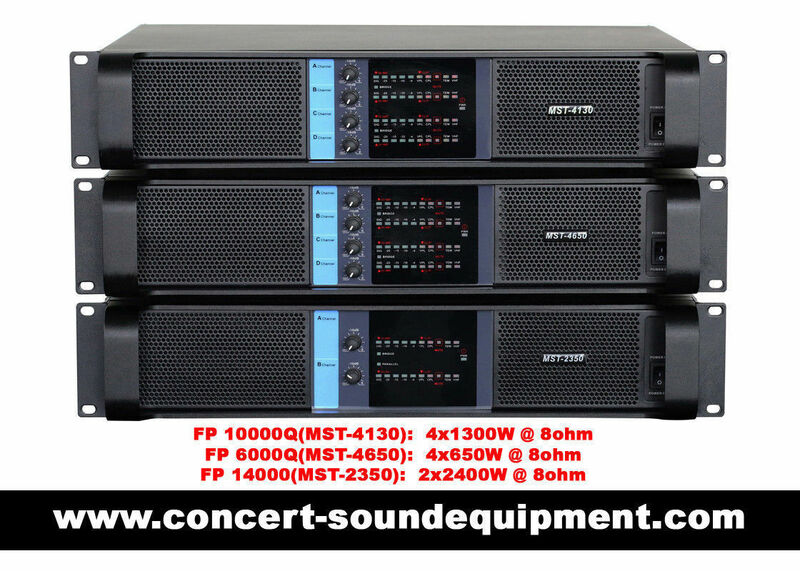 Our FP 10000Q (MST-4130) is much better than other Chinese suppliers' FP 10000Q or other models 4x1300W switch mode amplifiers at power capacitors, power transistors, heat sink, cable connection, transformer, details, artwork, and most important at sound quality and stability. We aim to make one 4 channel switching amplifier with power output 4x1300W @ 8ohm. 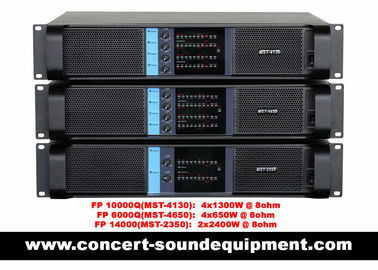 If we make it,it must be better,much better than similar amplifiers from other Chinese suppliers. The same or even worse amplifiers are meaningless and unacceptable to all the customers. 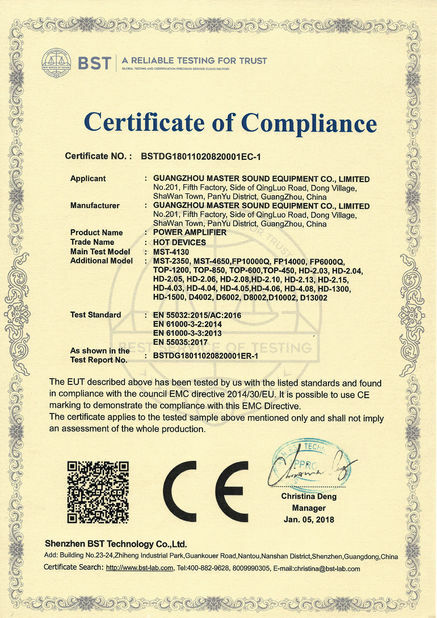 To get good sound quality,we should have high quality components.And to ensure the stability,we must solve the problem of heat dissipation. Now,we have this amplifier FP 10000Q (MST-4130). 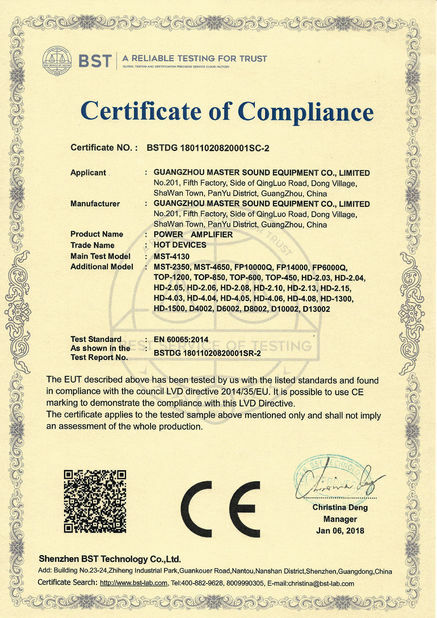 Our FP 10000Q (MST-4130) is Class TD switching amplifier fixed with original NOVER (from UK) power capacitors, SK power transistors,original NEUTRIK connectors and other high quality electronic spare parts. Professional circuit design and actual copper heat sink with better structure make fast heat dissipation possible. And fast heat dissipation contributes to high stability of the amplifier. 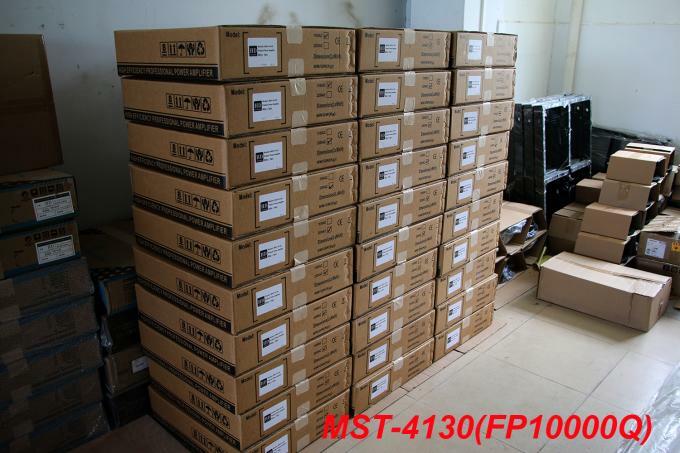 Once you have our amplifiers at your hands,open the chassis,you will find artwork and detail difference from other Chinese suppliers' FP 10000Q amplifiers. 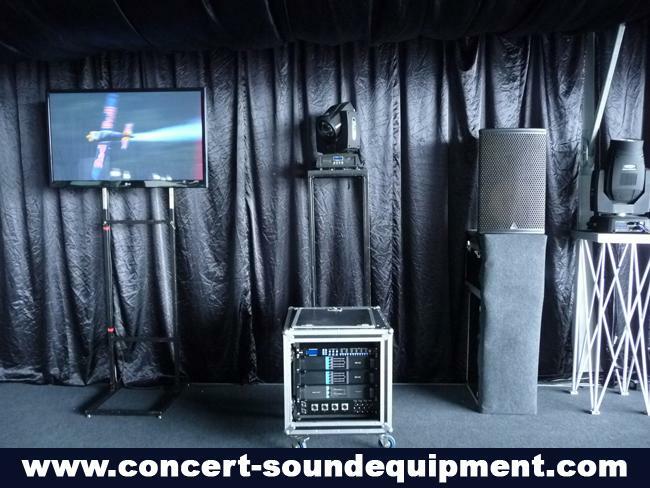 FP 10000Q (MST-4130) can be used to drive line array loudspeaker systems in touring concert, living show and other applications with high requirement on sound quality and stability. 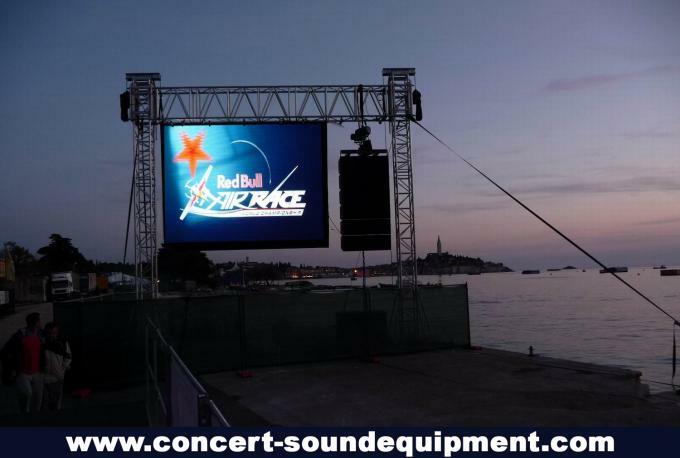 Now,in the world,more than 60 rental companies are using our switching amplifiers. 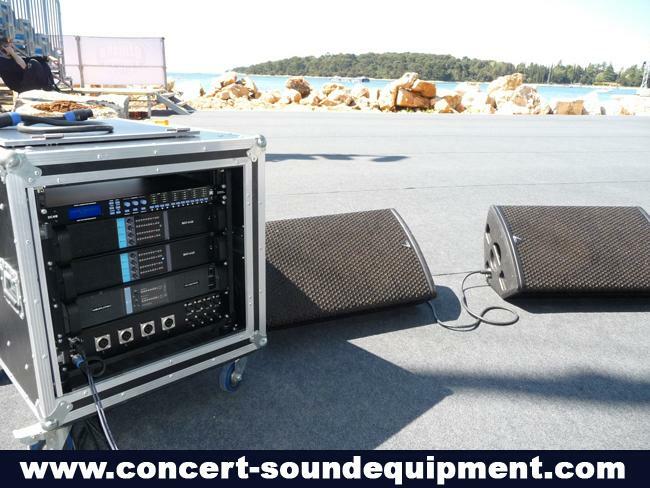 Normally, rental companies have higher and stricter requirements for the whole sound system.They are so satisfied with our switching amplifiers' quality and stability. 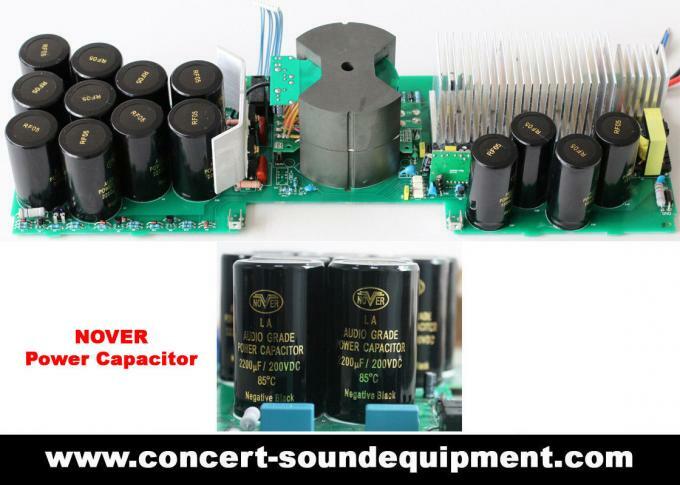 Currently, we have some OEM buyers for our switching amplifiers and they use our switching amplifiers to drive their loudspeakers fixed with RCF, B&C, 18 SOUND, PRECISION DEVICES and other famous brands' drivers. For sure, in the near future, we will have more and more OEM buyers for our switching amplifiers. 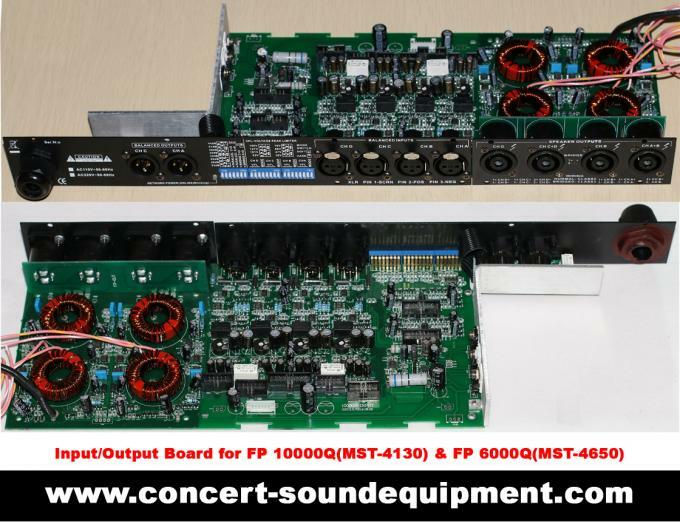 ​FP 10000Q(MST-4130), FP 14000(MST-2350) switching amplifiers and LSC36(or LSC48) processor can be used together with our LA-212 + LA-218SB, LA-210 + LA-210S, LA-208 + LA-208S, or LA-110 + LA-110S line array speaker system. 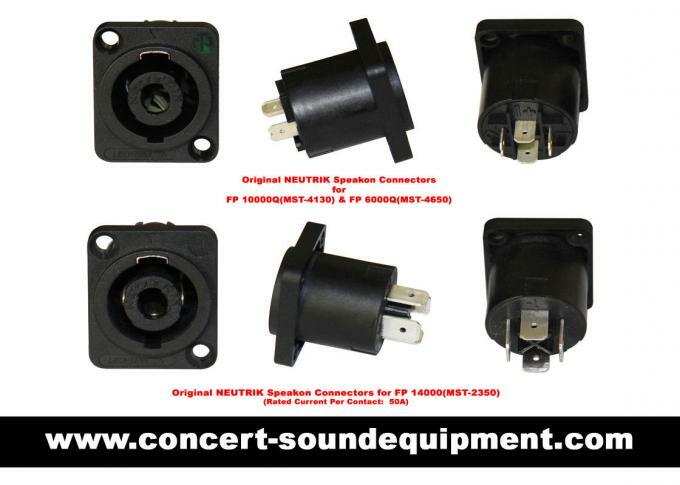 Order one FP 10000Q amplifier sample from us for a try. Actual sample will prove more than our words and you will get satisfied.